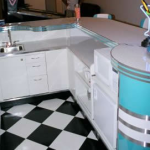 Warfield’s Retro Bar features a beautiful Teal and White design coordinated with a turquoise glacier boomerang laminate counter top. 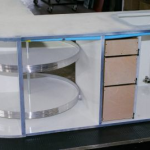 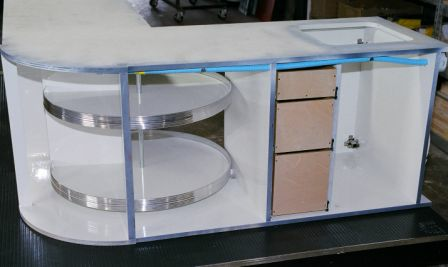 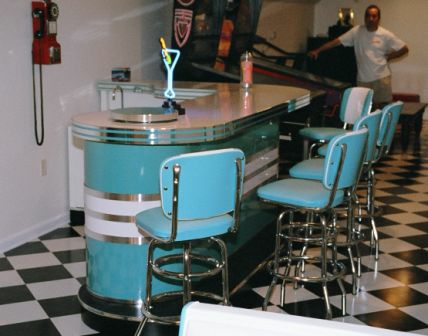 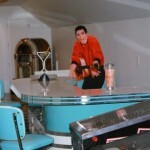 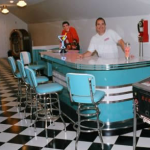 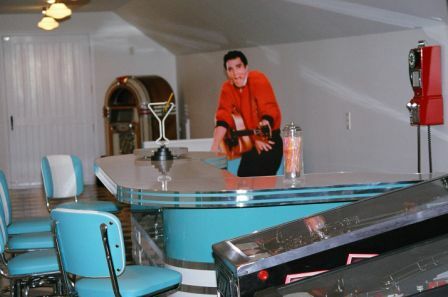 In 2005, David Warfield contacted us for a custom “Warfield’s Retro Bar” for his man cave. 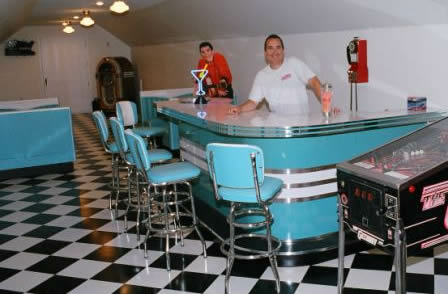 We were working with a five car garage, with an upper floor devoted to David’s retro hangout. 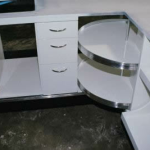 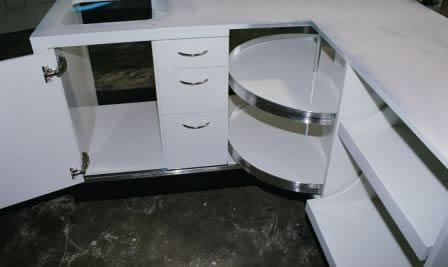 This bar is a very popular model offered with a variety of customization options. 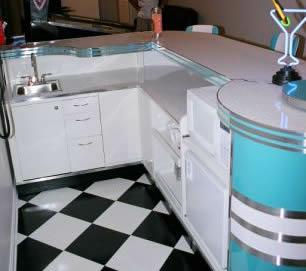 Color selections were ocean (teal) with white inserts. 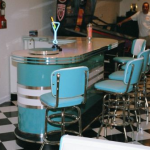 If you are interested in building your own “Retro Hang Out”, please contact us today!